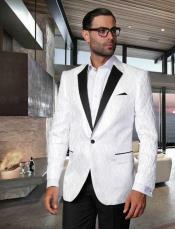 Getting dressed season wise if highly important to stay upbeat with the latest fashion trends! 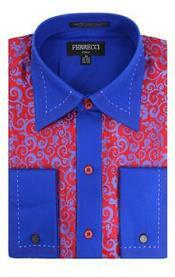 When it comes to the summer dress up for men, it all invites colorful and vibrant men's collection. 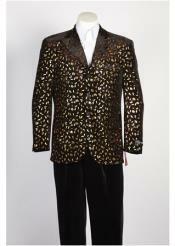 Men's collection in print is getting extremely popular with the men's fashion industry embracing creative, colorful and distinctive looks. 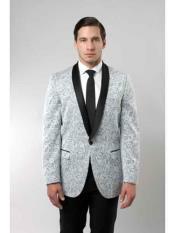 Patterned suits and blazers for men are the new fashion trend this summer. 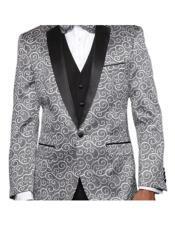 Patterned suits and blazers are the talk of the town today! 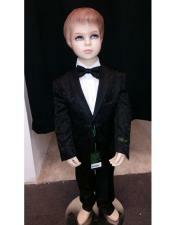 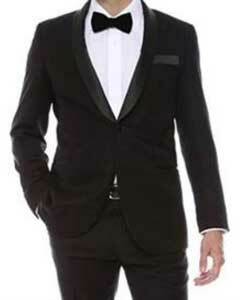 No one is now interested in wearing the plain solid style formal suits. 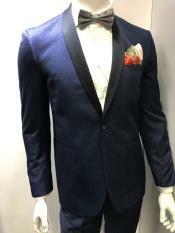 When formal designs come with an interesting touch, why not opt for them. 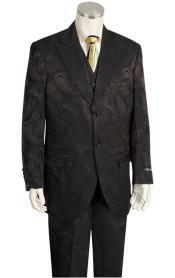 When we say patterns, we introduce the paisley suits for men. 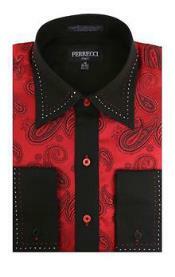 Paisley is a print on the fabric that repeats a certain design on itself. 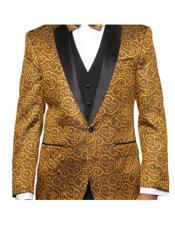 The repeated printed design all over the fabric brings out an amazing and stylish over all look. 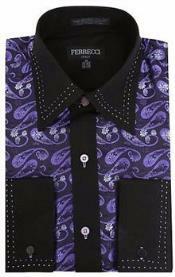 The paisley print is not only found on men's suits, but also on vests, blazers, neck ties, bow ties, dress shirts and so on. 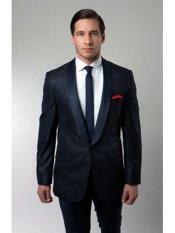 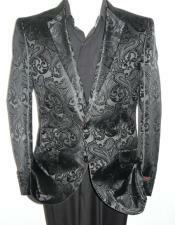 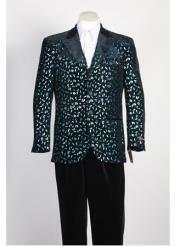 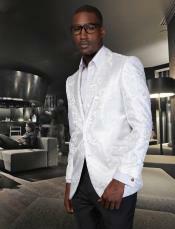 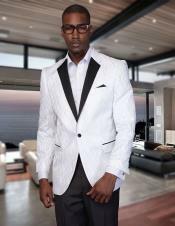 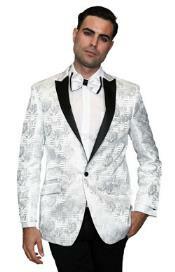 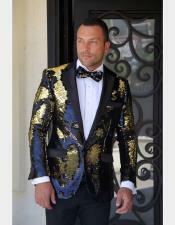 If you are looking for a stylish tuxedo jacket, you can go for a paisley printed tuxedo jacket for men. 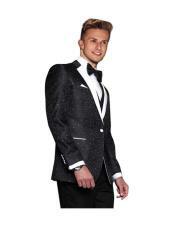 The printed dinner jackets or the paisley dinner jacket comes in more than one color combination option that gives you multiple choices to choose the pants. 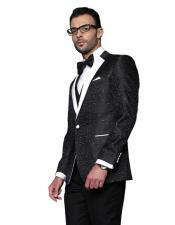 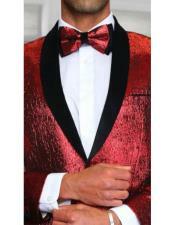 A printed tuxedo looks stylish and stands apart from the regular tuxedos. 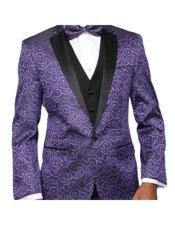 Paisley print dinner jackets come in different colors and different fit options like the regular fit, slim fit, modern fit, and classic fit and so on. 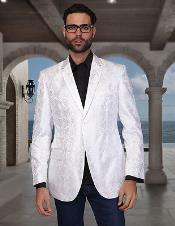 If you are looking for a dapper and stylish look for important occasions, then you can consider the men's paisley blazer. Choose a printed blazer like the black printed blazer that will suit all occasions. 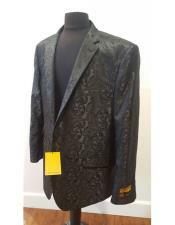 Black being a common color goes well with black paisley tuxedo jackets, black paisley dinner jacket as well as black paisley blazer. Apart from blazers, suits and dinner jackets, you will also find paisley sport coats for men. 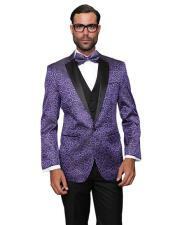 Colors like purple paisley sport coat are hard to find yet look unique and stylish. 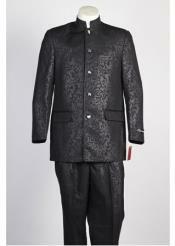 When it comes to a paisley outfit, you need not worry much about the colors, as the print is of utmost importance. 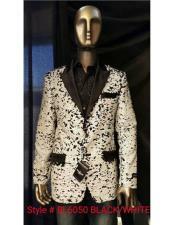 The print itself grabs the overall look of the outfit and diverts the attention in the outfit. 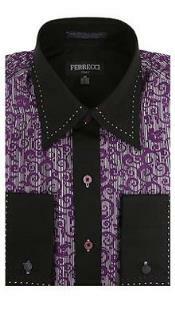 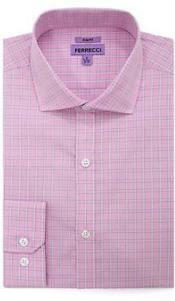 Yet there are many bright and vibrant color options available in paisley collection for men. 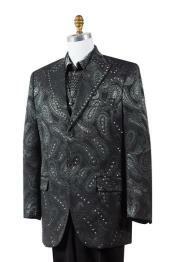 Browse this dedicated category at Mensusa to find some of the best options in paisley print collection for men. 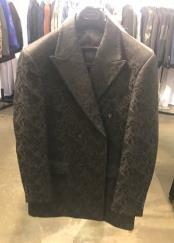 From paisley blazers to paisley tuxedos, paisley suits, paisley dinner jackets and paisley sport coats, we have them all sorted in the paisley collection right here for you. 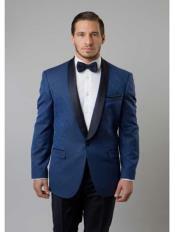 Apart from blazers, sport coats, dinner jackets, suits and tuxedos, you can also browse fro paisley vests that go best with men's three piece suits, men's paisley neck ties, paisley bow ties and much more in the paisley collection here at Mensusa.